Better Posture Dot Net Better Posture is Essential for Your Well-Being. But Can Corrective Braces Such As Posture Now Really Help You? At one time, it used to be normal to start out a Posture Now review with a statement such as “If you work at a desk all day…” But, in these days, 2019, it’s safe to assume that just about everybody does work at a desk all day. Happy New Year from Nathan White and Mike Walker! Thank you for all you’ve done for us in 2018. Both of us here are sending you our best wishes that 2019 brings you a healthy life, family and posture. Now, let’s get started, and remember, you can trust us to do a fair review for you! Last Updated (References Section) January 13, 2019. If you are among that majority of people, you’ve probably developed some rather bad habits related to bad posture. Posture habits do more than make you look slouchy and out of shape. Over time, they can cause real damage and, because back pain is so disabling if it gets too bad, that pain can have a real impact on your quality of life. Enter my revised and updated 2019 Posture Now review. This is one of many different products that are designed to make it easy for you to correct your posture. The idea behind it is relatively simple. Picture having somebody standing behind you holding your arms together near your biceps, forcing you to sit with a straighter back. This is basically what the brace does. Simply put, they are designed to give you a better posture. It’s something of an alternative to wearing a regular back brace, which some physicians wouldn’t recommend that you do for an extended period of time. Posture Now has been reviewed on sites such as Shark Tank and others and gotten generally good feedback. The benefits of the device, according to the manufacturer, could make something of a difference in your life. There has been plenty of research pointing to the connection between posture and back pain (pubmed). 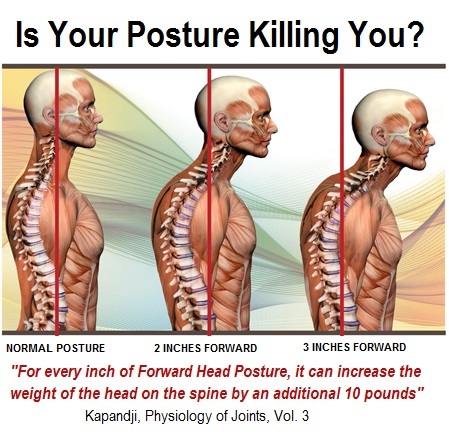 The idea behind Posture Now is to provide a very non-intrusive way to correct your posture. It can be worn over or under your clothing and, when worn correctly, the manufacturer claims that it will give you some real results in correcting bad posture. 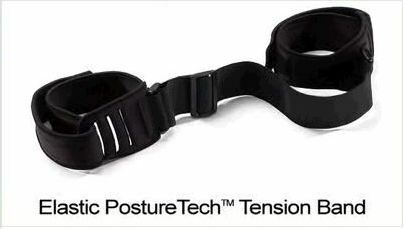 Essentially, what you’re looking at is a device that places tension in one part of your body that forces you to sit in a more anatomically correct position. 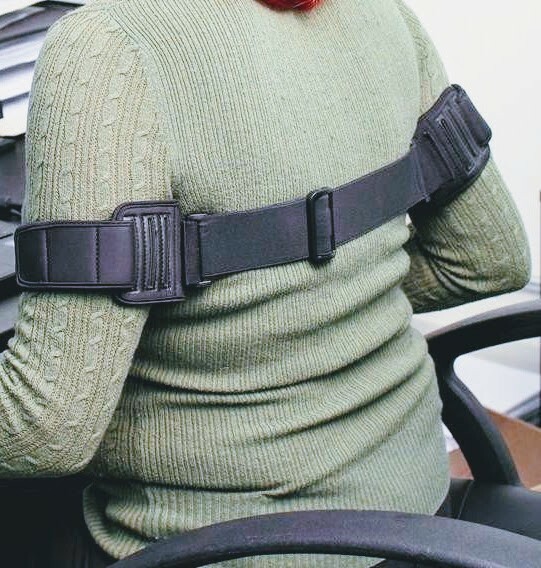 One potential benefit to this device compared to other similar devices is that it is not directly holding you up, such as a back brace would do. Posture Now relies upon getting you into a position where your muscles are supporting your body correctly rather than compensating for weak muscles, potentially making you more dependent upon a brace. When you do take a look at the reviews, however, you will see some things that you’ll want to pay attention to. Surf over to Amazon.com and you’ll see recent review from a man named Clancy that includes some potentially valuable information. Clancy found the sizing to be not quite accurate as far as his body was concerned. 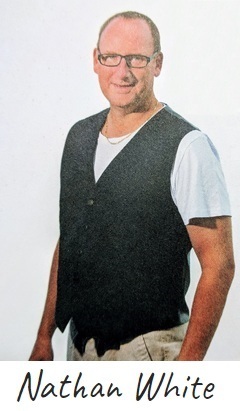 In his review (from [this-year]), he also points out that he has been wearing the same size clothing for a long time and that the sizes on the Posture Now brace didn’t really match up very well. Like any other bracing device, size can be an issue. If you happen to be very large or one of those individuals who spends a lot of time toning their biceps, you may run into the same trouble that this gentleman ran into. Sizes such as XL and XXL are really just generalizations. People are big in different ways and in different places. Another element brought up in this gentleman’s review bears mentioning. He reported having difficulty keeping the device comfortable, saying that he felt like a circulation was cut off owing to having to tighten the device to get it in place. If you happen to work on a computer in a capacity that requires you to do a lot of typing, you may want to keep this in mind. Cutting off circulation in your arms is going to make it more difficult for you to maintain the sensitivity in your fingers necessary for typing and it’s quite likely that a lot of people who want this device are going to use it when they’re working behind a computer. 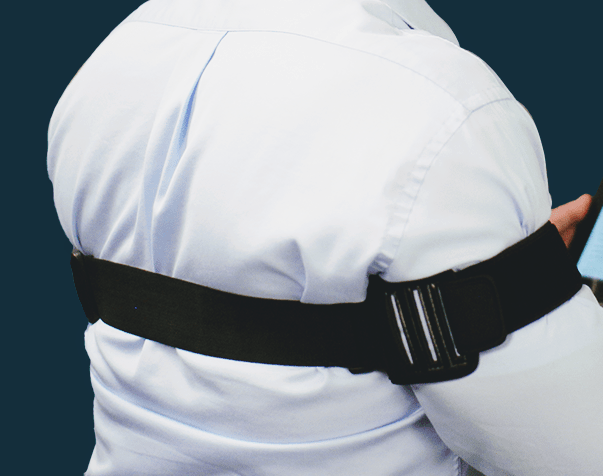 Do you have personal experience with the Posture Now brace? Please contact me here. If you’re considering buying a device to help correct your posture, it’s vital that you keep in mind that your posture may be an indication of an underlying issue. It isn’t always obvious what may be causing your bad posture, either. For example, your bad posture may be the result of using an improperly sized chair or it may be the result of osteoarthritis in some part of your back. Be sure you get yourself checked out to make certain that you don’t have any injuries or conditions that are causing your bad posture before you start relying on any device to help you remedy the issue. When you’re taking a look at the sizing information, remember that this device will hook up to your arms. Not everybody is proportioned the same, obviously, so do keep in mind that, if you have very large biceps, very wide shoulders or, conversely, you’re bigger in the abdomen and tend to have arms that are smaller for your size, you may want to adjust your sizing options up or down accordingly. Posture Now may well work wonders with your posture. Go read some Posture Now reviews or, if you prefer, head on over to Shark Tank and see what they have to say about the device. You may very well find that this is exactly what you’re looking for or you may find that you need something else to get a better posture, but do take a look and see if Posture Now might help you with your posture issues. Thank you for reading my Posture Now review! Because of the recent publicity on Fox News, if their web-shop is slow, please try again. *UPDATE: 1/13/2019 Our research has found that people interested in Posture Now have been getting considerable results using Posture Now for as little as 10 minutes per day. Example results from user in the image below. Can a Posture Corrective Brace Help You? © 2019 Better Posture Dot Net. All Rights Reserved.